Walk down Bozeman’s Main Street and you’re just as likely to see worn-in cowboy boots and Carhartt barn coats as Patagonia ski shells and Sorel boots. In the heart of big sky country, bracketed by Yellowstone National Park to the south and skiable mountains in all directions, Bozeman is known in outdoor circles as a veritable outdoor playground. Regardless of the season, there’s always something to do outside—and wintertime is no exception. Two world-class ski resorts, Big Sky Resort and Bridger Bowl, are both within an hour’s drive of downtown and offer a combined 7,000 vertical feet and nearly 8,000 skiable acres. A plethora of backcountry and cross-country skiing are also nearby, meaning there’s plenty to occupy outdoor-folk, and the town offers a variety of dining and lodging for all budgets. Big Sky Resort features more than 5,800 acres of terrain and an impressive vertical drop of 4,350 feet. One of the largest ski resort in the U.S. in terms of acreage, Big Sky boasts the Lone Peak Tram, which transports adventurous skiers to 11,166 feet on Lone Mountain’s Summit. The resort encompasses four large mountains connected by chair lifts, and offers European-like skiing with powder stashes and minimal wait time. After a busy day of skiing the slopes, nothing makes the après-ski scene like a hot meal, a strong drink and relaxing with friends. Big Sky boasts a broad selection of options for wining and dining. Local favorites include Montana Jack for burgers and craft beers, Scissorbills Saloon for live music, drinks and a quick snack and the Carabiner Lounge, where large windows and a big deck offer the perfect respite to relax and watch the snow fall. Big Sky’s first microbrewery, Lone Peak Brewery, offers 12 taps with rotating seasonal and award-winning brews. Locals know the best groomed cross-country trails are located a mere 20-minute drive from downtown Bozeman in the Bridger Mountains. 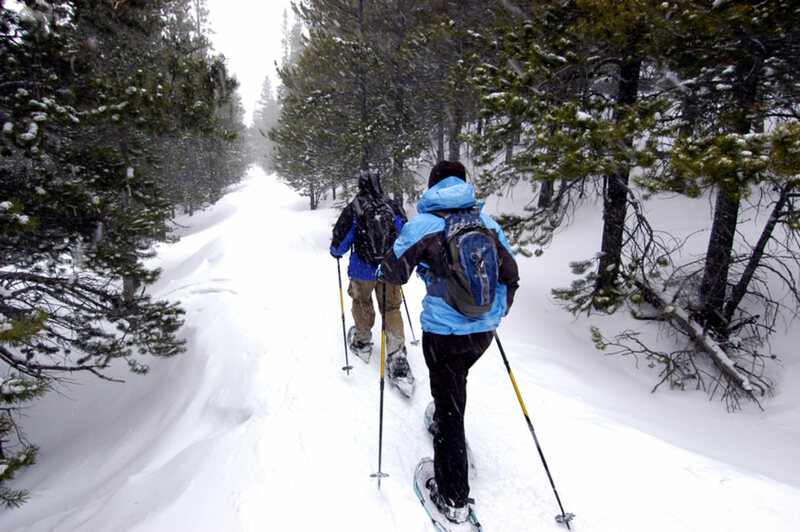 Bohart Ranch offers a scenic, relaxed cross-country skiing experience through groomed trails teeming with wildlife. More than 30 kilometers of trails over varying terrain are regularly groomed and offer both classic and skate-style tracks. Tucked a mere 20-minute drive south of Bozeman, Hyalite Canyon is a season-round favorite of Bozeman locals. A leisurely drive up the canyon road leads to a scenic reservoir and a selection of hiking trails offering bountiful wintertime options. 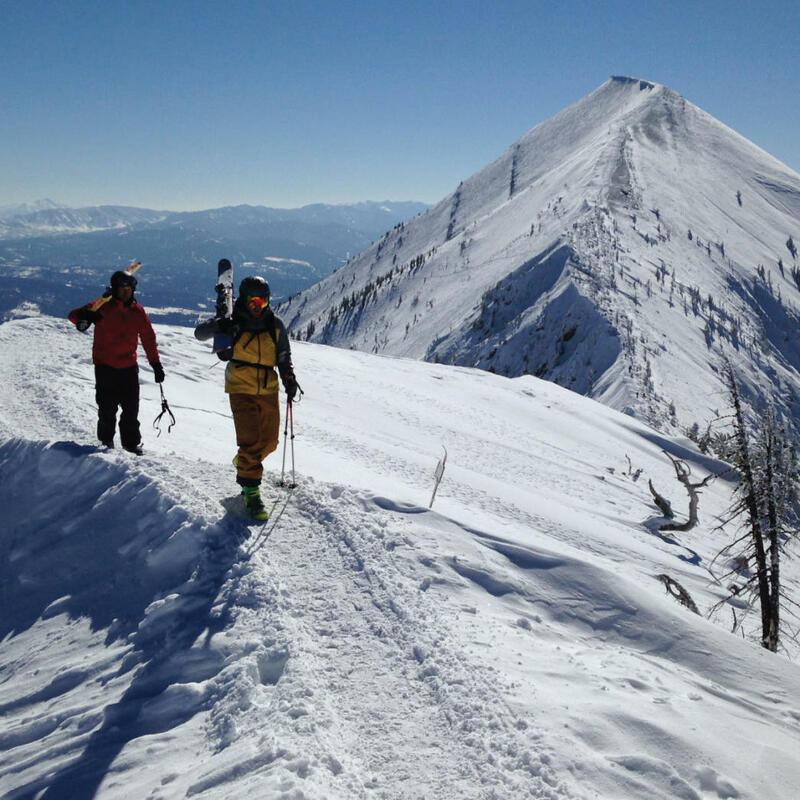 Winter choices include a marked trail system and an endless supply of wintery backcountry. Grotto Falls Trail #42, a short hike leading to a scenic frozen waterfall, is the perfect option for a post-brunch stroll in the snow. Fueling properly is key before is a big day on the slopes. Accordingly, Bozeman doesn’t slack in the breakfast department, with most options to be found downtown. The local’s favorite coffee shop, Wild Joe’s Coffeehouse, offers the best espresso drinks in town as well as quick breakfast burritos and sandwiches. 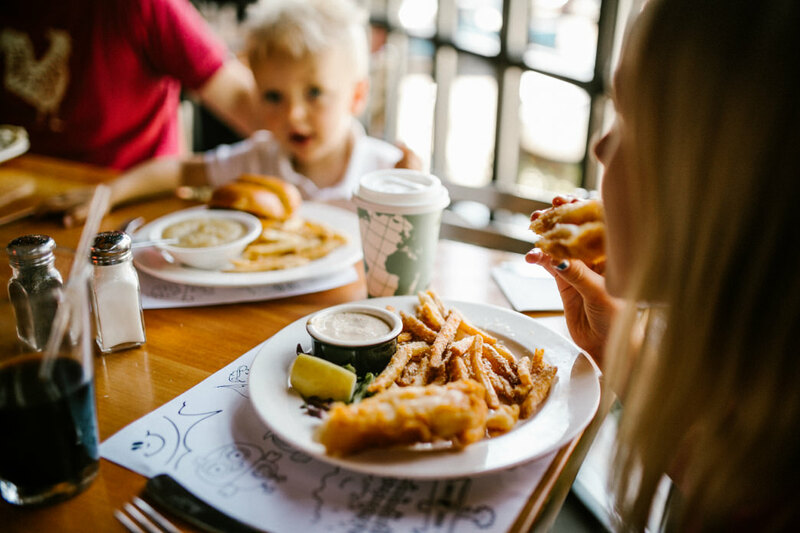 The Nova Café features locally sourced ingredients in a trendy environment, and Main Street Overeasy is a classic, always-bustling spot for those seeking a hearty traditional breakfast. Coffee shops are also scattered around town for those seeking a quick break to the ski hills. With the suitable catchphrase "Ski the Coldsmoke," Bridger Bowl is known as the local’s ski hill. A vertical rise of 2,700 feet and 2,000 skiable acres of terrain offer enough options to keep even ski-savvy Bozeman residents occupied, and with an average snowfall of 350 inches, odds are good that visiting skiers will get a chance to sample the mountain’s famous powder conditions. One quad, five triple, and two double chairlifts mean it’s easy to move around the mountain, and a terrain park keeps trick-happy athletes occupied. Bozeman is quickly gaining a well-earned reputation as the culinary capital of Montana. After a frigid day on the slopes, nothing is finer than relaxing with a big meal and a favored drink. A simple stroll through downtown Bozeman offers a broad variety of dining options, from the cheap and quick to fine local fare. Locals often gather at Montana Ale Works (ask for the off-menu parmesan fries) and Bar IX, an industrial-style bar with busy nightlife. The Cannery is a local’s favorite dive bar, and Copper Whiskey Bar and Grill offers more than 130 varieties of whiskies for the most discerning of tastes. Wintertime adventures in the Bozeman area don’t require a drive out of town. The Bridger Ski Foundation grooms community Nordic ski trails at six venues around Bozeman, including easily-accessible in-town Bridger Creek Golf Course and Sunset Hills Trails. Local ski shops offer half-day and daily rentals of cross-country ski gear, making it easy to enjoy the in-town trails. 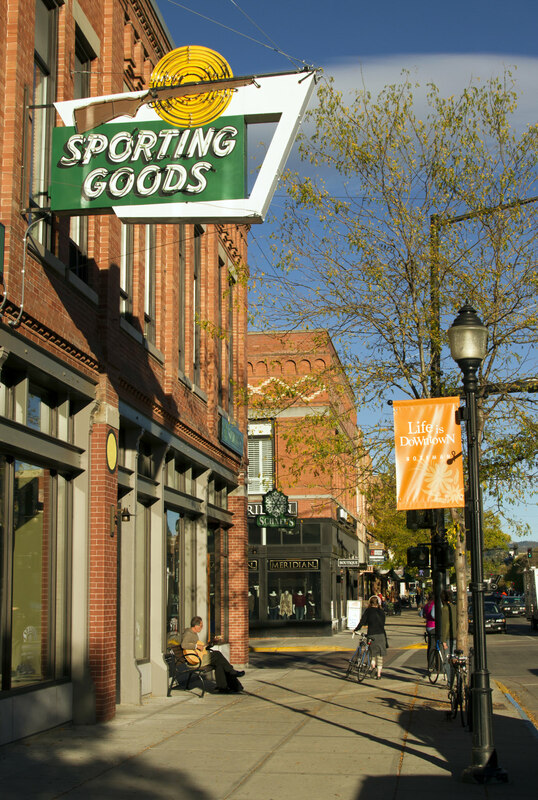 As expected in an outdoor town, Bozeman boasts its fair share of outdoor shops. 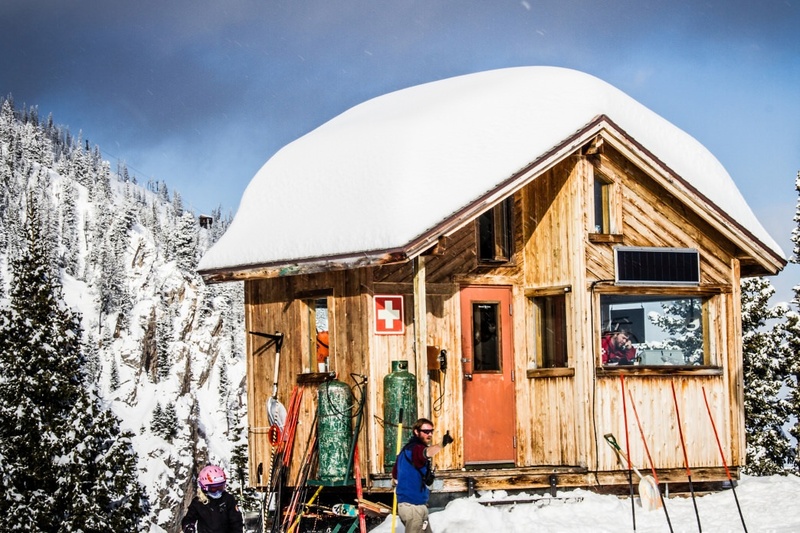 Local favorites Chalet Sports and Roundhouse offer ski and gear sales as well as tune-ups and rentals, and they are the best place to stop and ask the locals what’s been skiing well. A perpetually busy REI is Bozeman’s chain store option. Big Sky Grizzly Outfitters, Lone Mountain Sports, and Gallatin Alpine Sports all cater to visitors and locals alike. When the weather is truly icy, sometimes it’s best to retreat to the hot springs. Bozeman Hot Springs, located 15 minutes from downtown in nearby Four Corners, has been around for more than 100 years and offers recently renovated natural hot springs pools. Norris Hot Springs, 45 minutes away, is a popular choice for its natural hot springs, live music, and food and drink. Both are a solid option for those seeking to soak away post-skiing soreness.